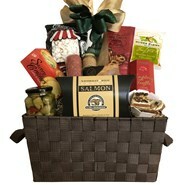 Custom, gourmet gift baskets with a personal touch! 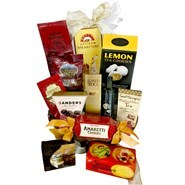 Gourmet Gift Baskets You'll be Proud to Give - Guaranteed! Too beautiful to eat . . . . . Too delicious not to! 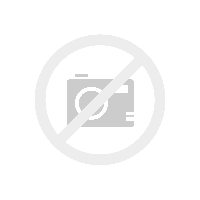 For your convenience we offer custom Personalized service #(209) 476-0450. Shipping to multiple locations, give us a call. 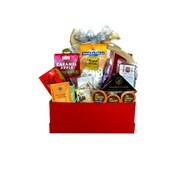 This Executive gift basket makes an excellent corporate gift for top executives, valued clients, business associates, an executive or anyone with an executive's gourmet palate. 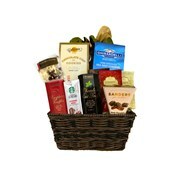 Our executive gift basket will make a real impression! 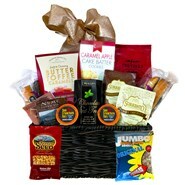 Sure to please the most discriminating, gourmet palate, the Executive Gourmet Gift Basket is the ultimate "gift of good taste." See Contents page for list of contents and delicious treats! 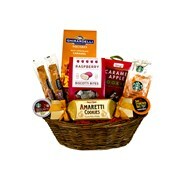 This office snack basket is made for sharing at a coffee break or to start an office party on the spot. See Contents page for contents and delicious treats! 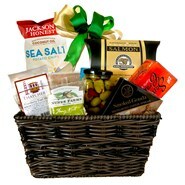 Most items are from award-winning California specialty food purveyors. 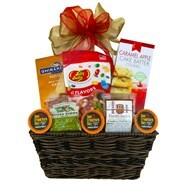 This basket includes handmade gourmet White Chocolate Cranberry Pistachio Toffee! An amazing taste uniquely for Basket Caravan! 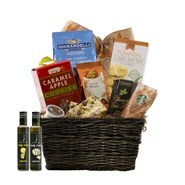 As summer turns to Fall, this Autumn Harvest basket brings tastes of seasonal treats. 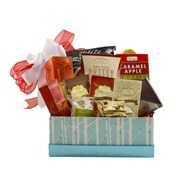 Gloria's "Thank You" Gift Basket makes the perfect gift for co-workers, friends, and family to show them your appreciation for all they do. 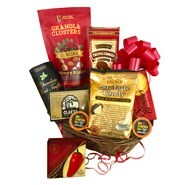 The Gourmet Collection Gift Basket makes the perfect gift for co-workers, friends, and family to show them your appreciation for all they do.